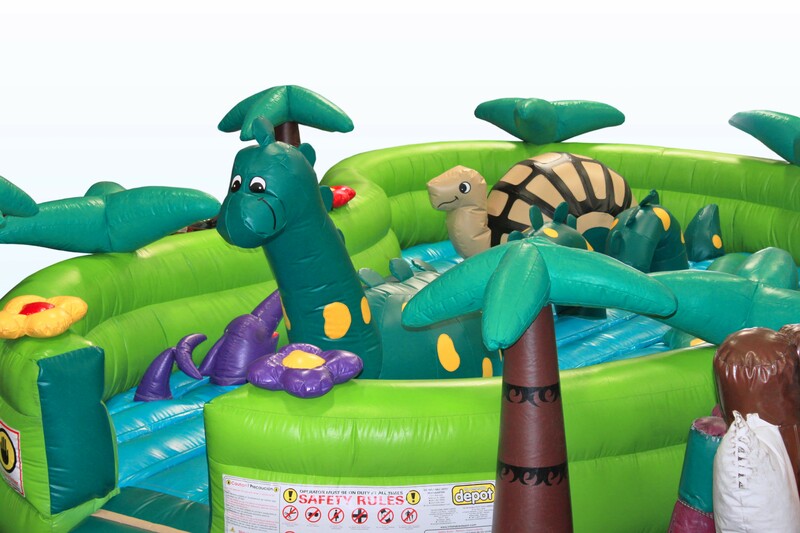 This dinosaur themed inflatable is specially designed for younger event attendees. 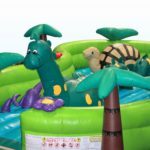 Targeted towards ages 1 to 4, the baby Dino lake inflatable bouncer has low sided walls for easy parental observation and access. Should a child become upset, they can be easily remove from the inflatable without having to crawl through a small hole. The toddler inflatable safely holds up to 8 younger children, possibly more if all participants are smaller. Setup of this bouncy house only requires 30 minutes, though we typically require at least an hour prior to the event to navigate any difficultties that might present themselves. 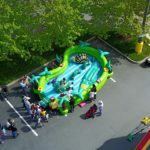 Safety considerations require that this rental inflatable is always staffed by either a trained event professional or a debriefed volunteer, to insure that all children are participating safely, and that larger children are not paired with smaller children. 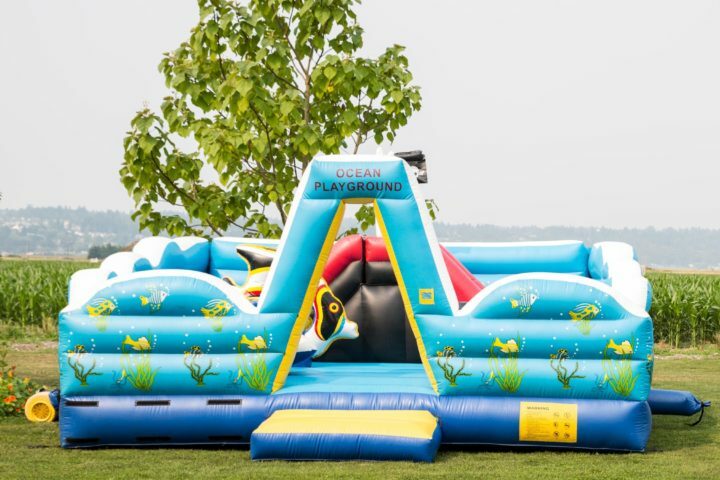 As with any rental bounce house, this inflatable can be setup on cement, grass, indoor, or outdoors, we just require advanced notice of the surface so that our event team can prepare the necessary supplies for safe setup and operation. 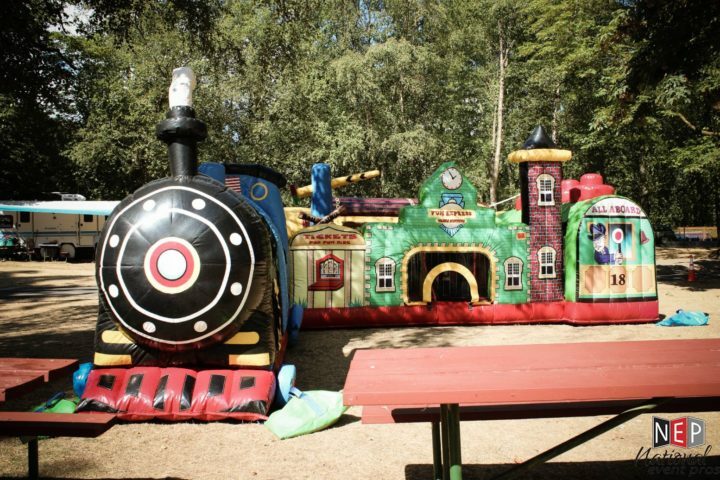 So whether you are planning a company picnic, spring festival, or church activity, consider this terrific toddler addition for your next event.